John Baselmans - Oracle work. He was born may 20, 1954, Aalst (Waalre) Netherlands. His drawings and publications are growing everyday. Pen and Ink, Water color, Color/ Black Pencils and Soft Pastels. This illuminates his drawings with a special feeling and warmth. Since the beginning he is drawing from his heart and soul. He opens the world's eyes with his human-animals drawings. Further he has a lot of pages where he shows how drawings are made. how to start and finish a drawing. His FREE courses and FREE videos are worldwide asked and downloaded. In the world John lives nothing is for sale, neither his artwork. In the world you lives there is a price for each artwork. 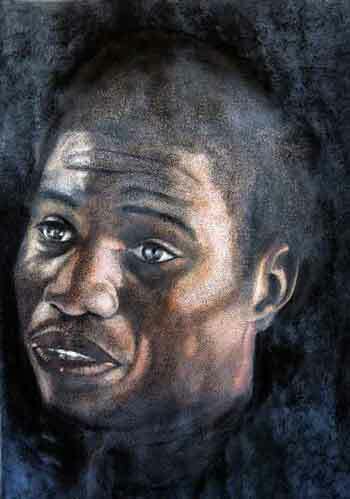 John does not believe in making money because Drawing and Sculpturing are his passions. After he left this world all his work which did not find its way will be destroyed. So, his artwork will not be sold after his death. Why? Because he believes that his work has to do its work now. Not later, so one can make big money out of it. Only his books and this website will be still there after his earthly life. "Being human is helping each other". On the web since Januari 1993. 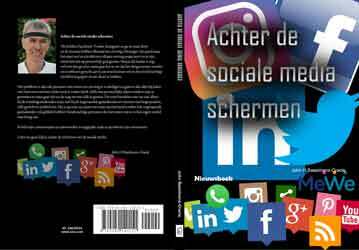 "Achter de sociale media schermen"
- Please click on the images on the different pages and you get a larger image in a separated box on your screen. because the server can't handle always the amount of people on this website.